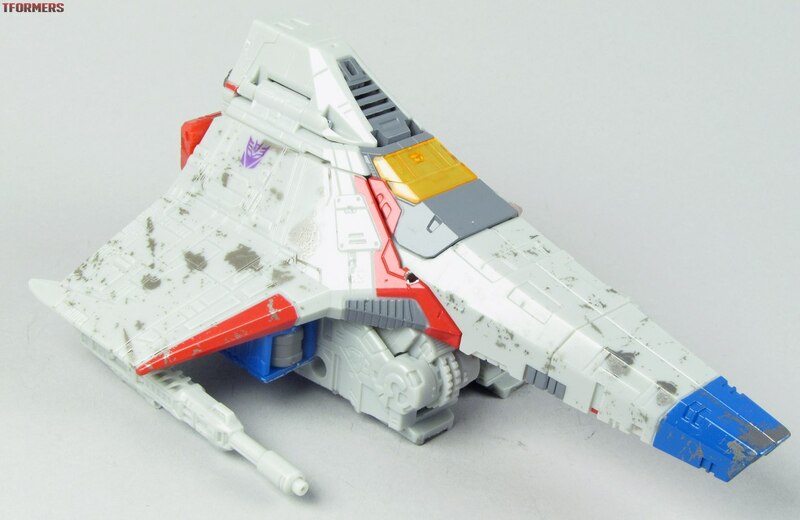 Voyager Starscream sits at the intersection of some vague promises, decades of anticipation, and odd aesthetic choices. But if you can brush all that aside, there's a pretty decent toy here. 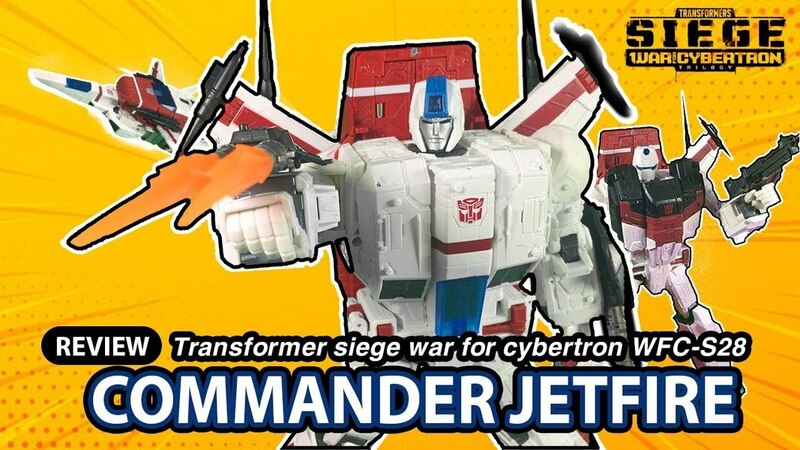 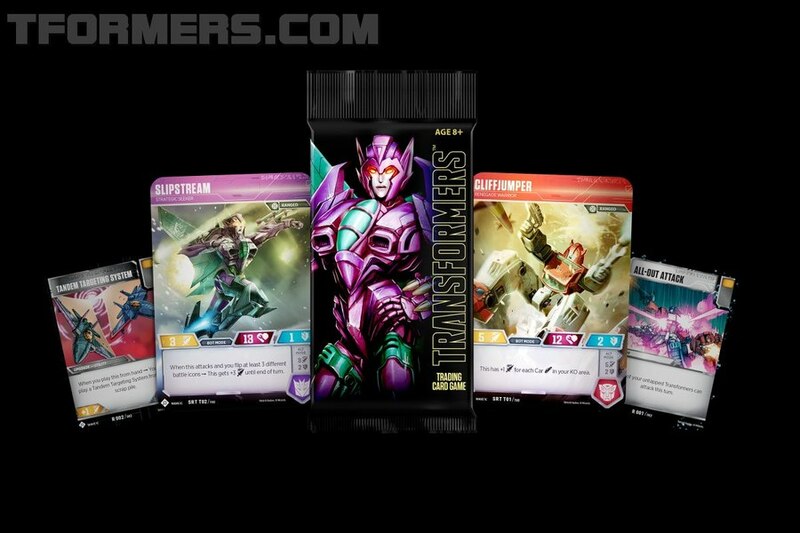 This is at least the third time the classic Sunbow "Tetrajet" design has been invoked, and the third time we've gotten Not That. 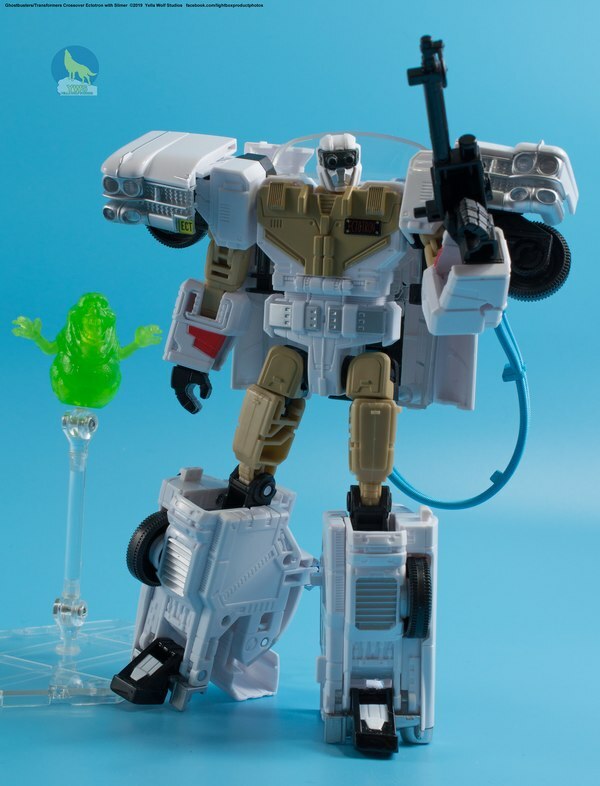 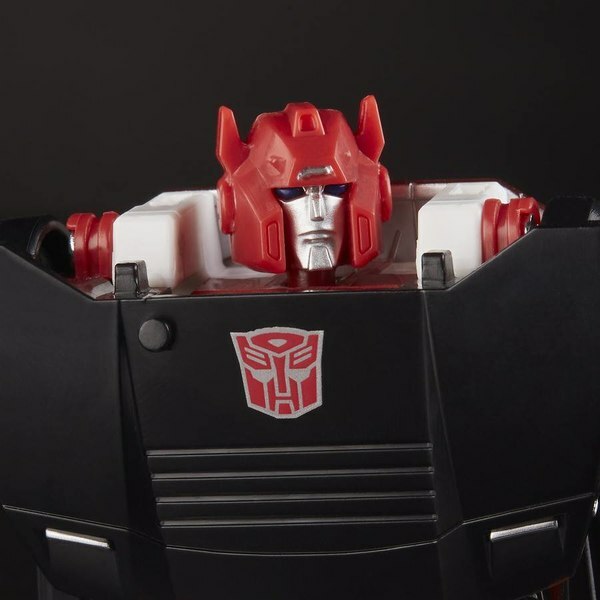 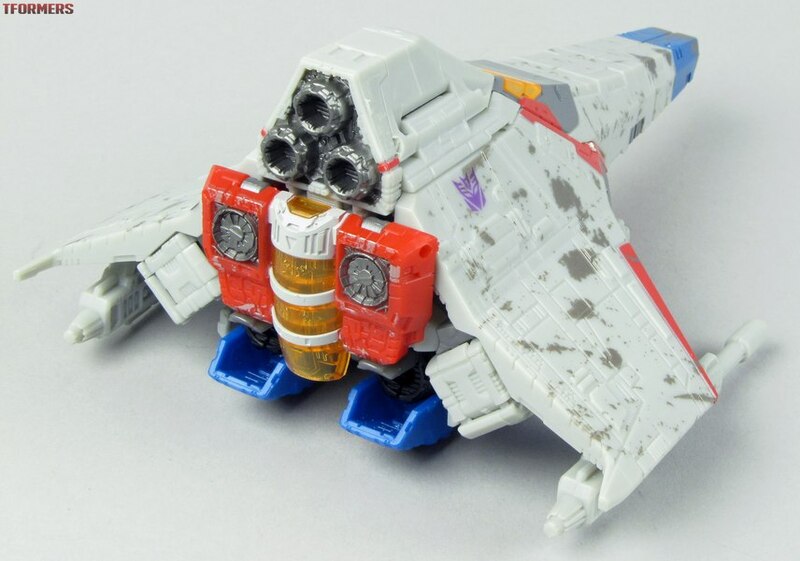 It's perhaps closer than the Fall of Cybertron or Cybertron takes on that form factor, but the proportions and the flattened-off top mean that the ideal Flying D4 has yet to be made. 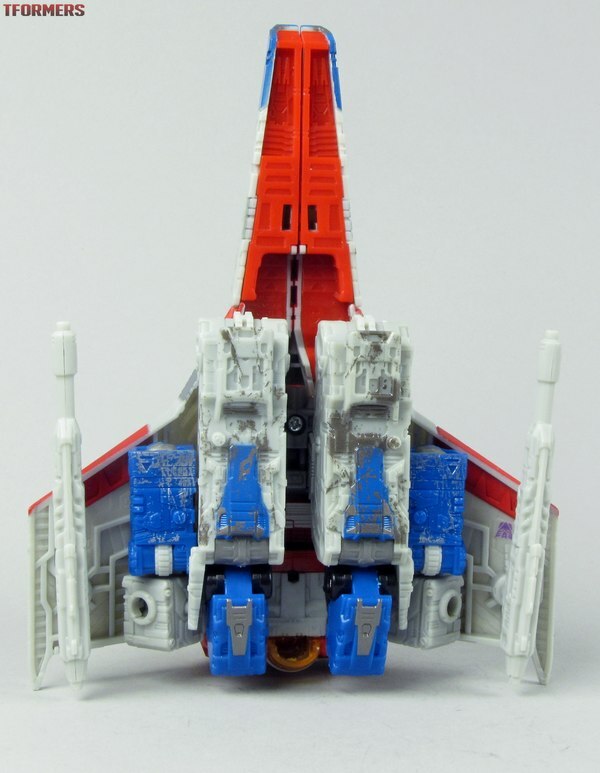 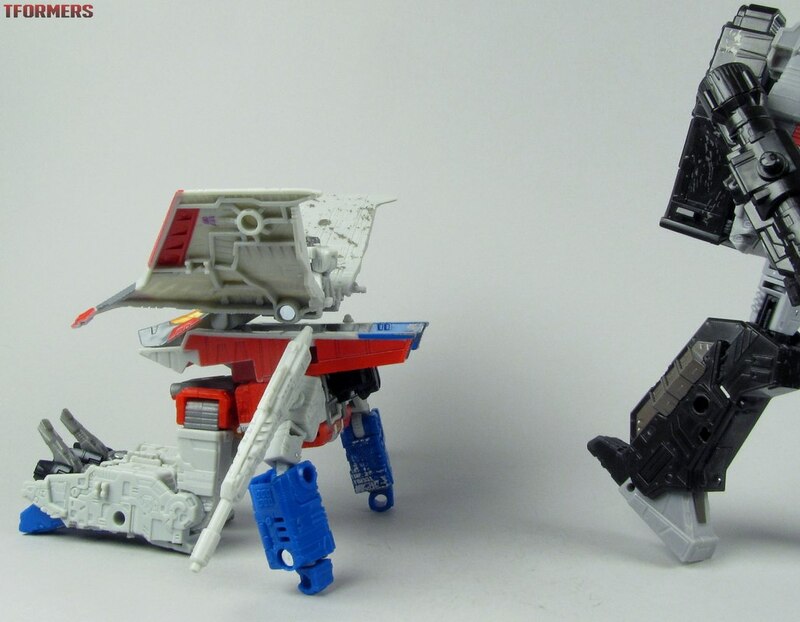 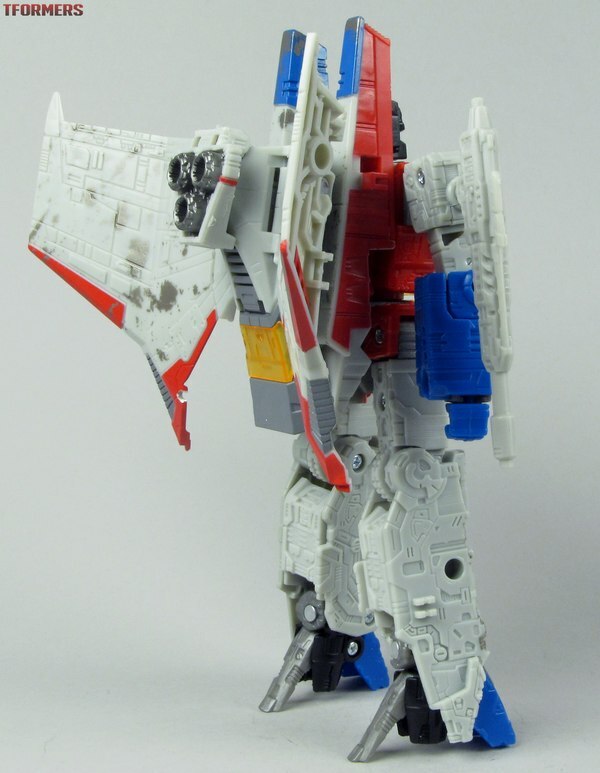 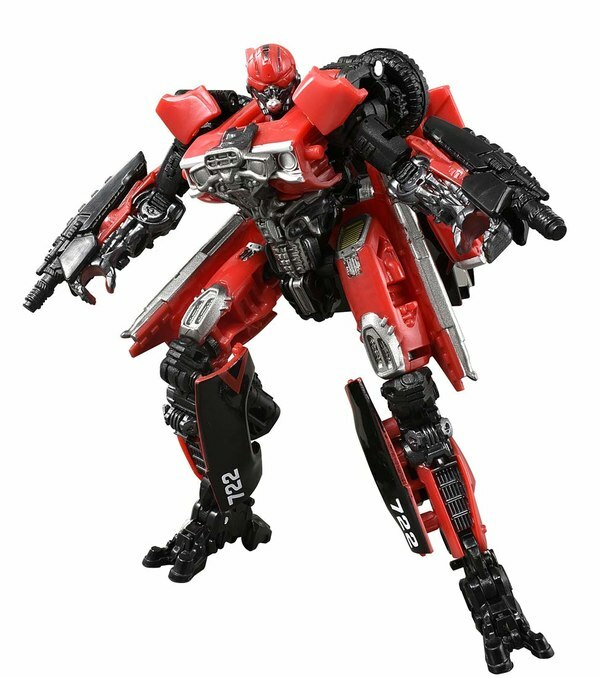 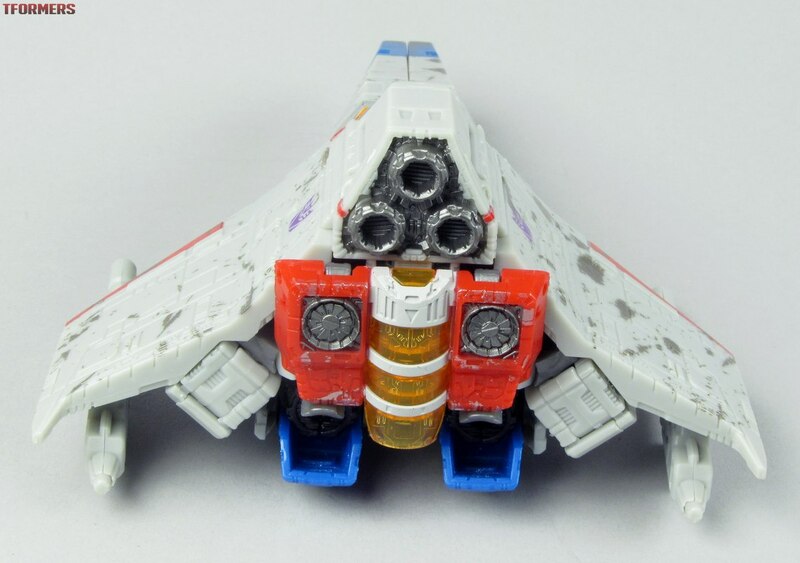 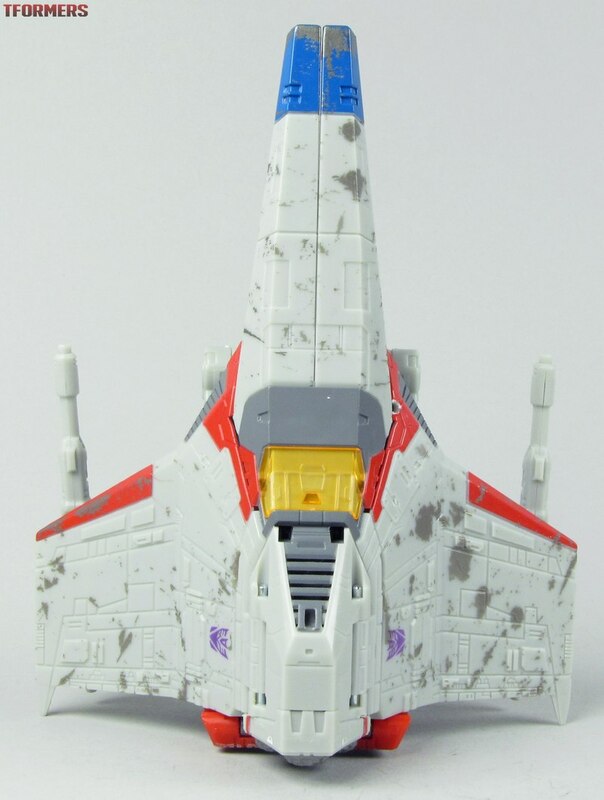 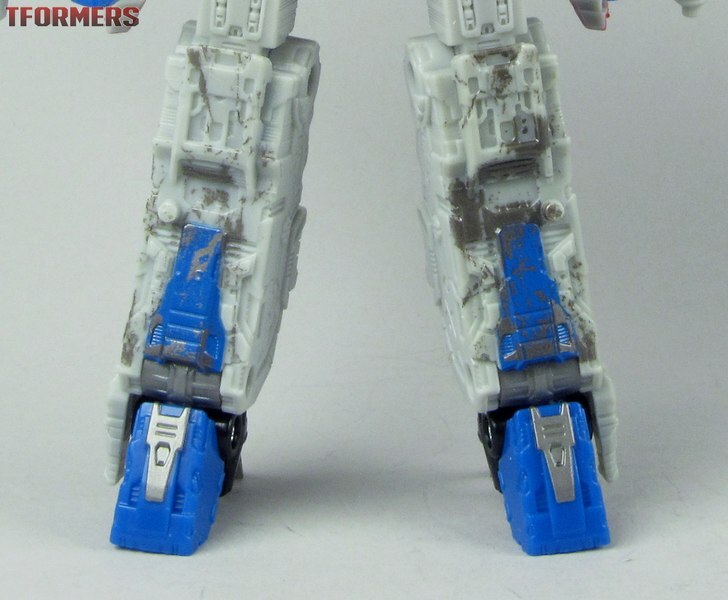 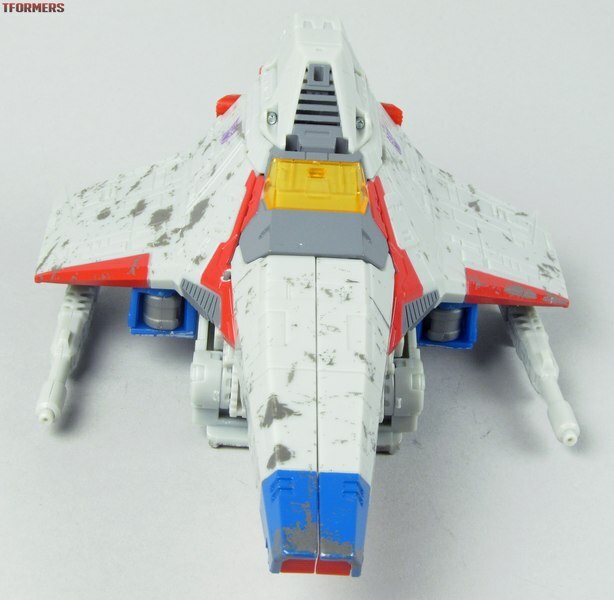 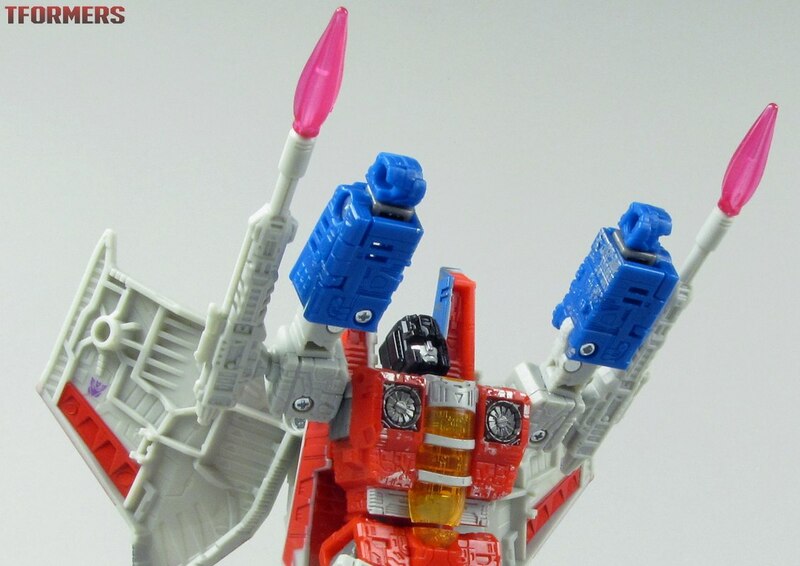 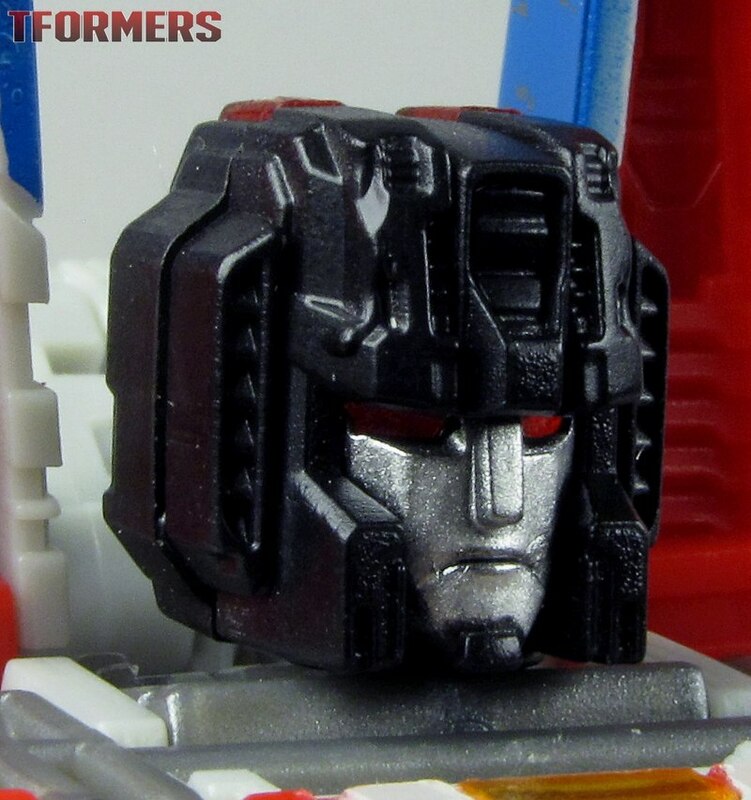 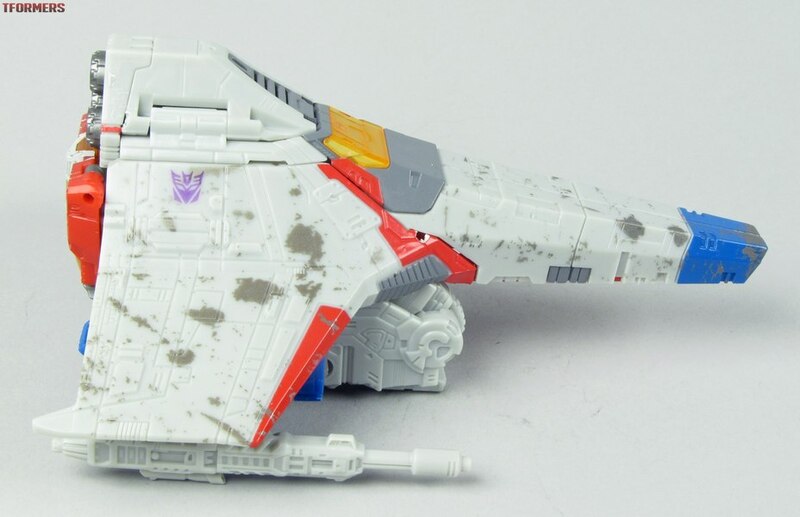 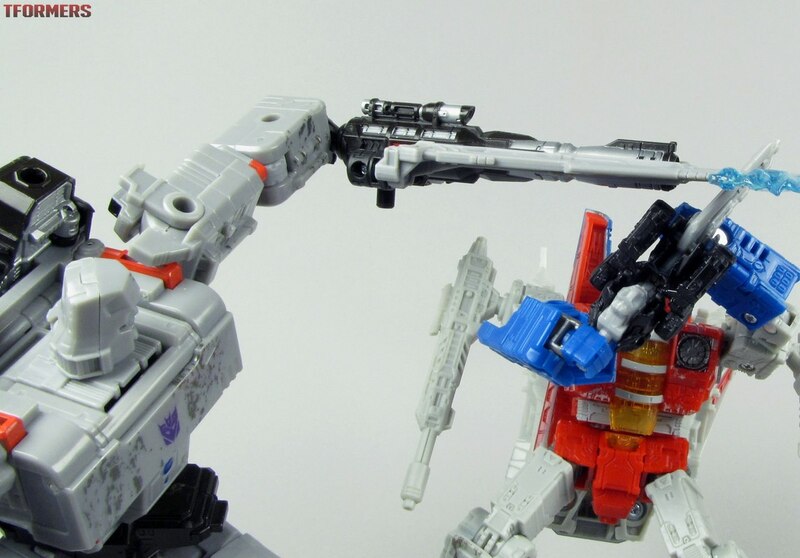 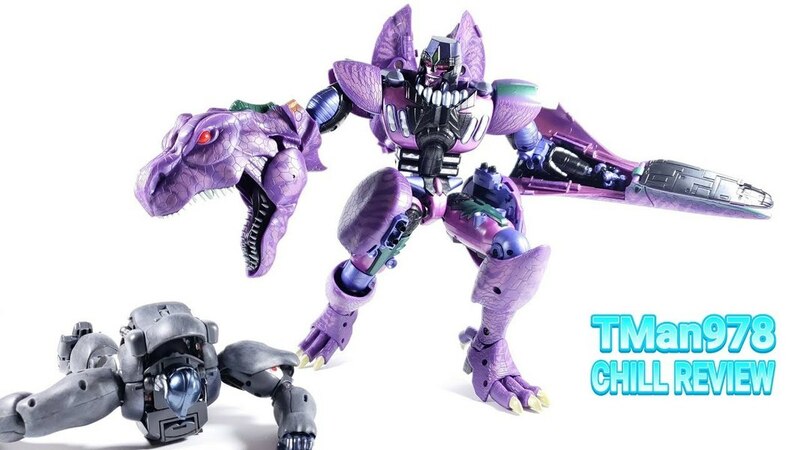 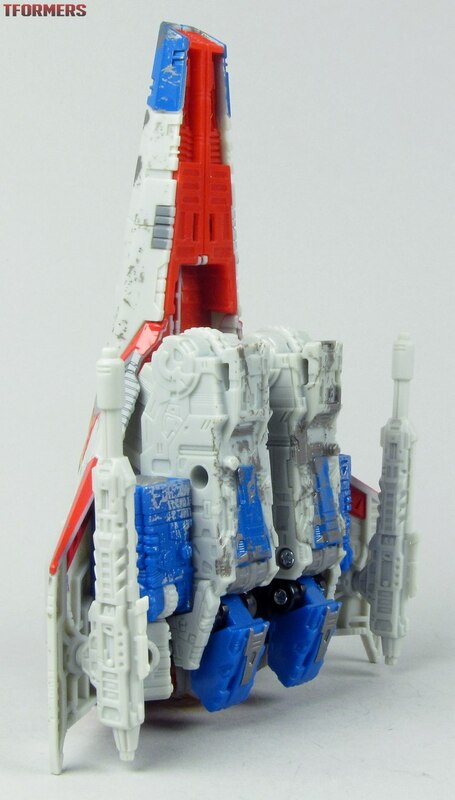 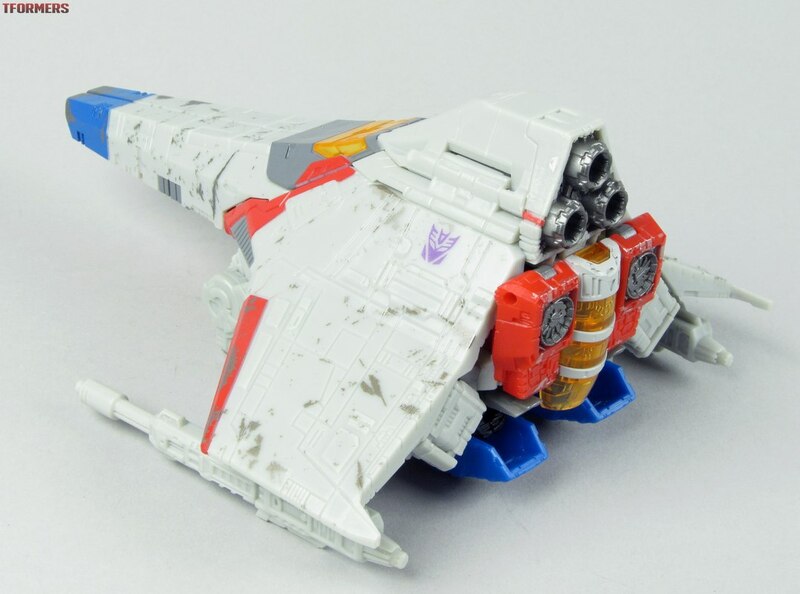 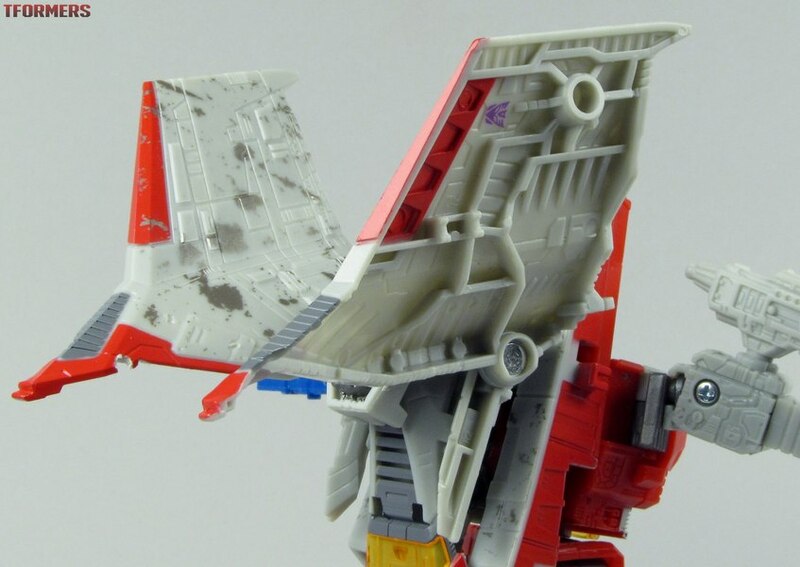 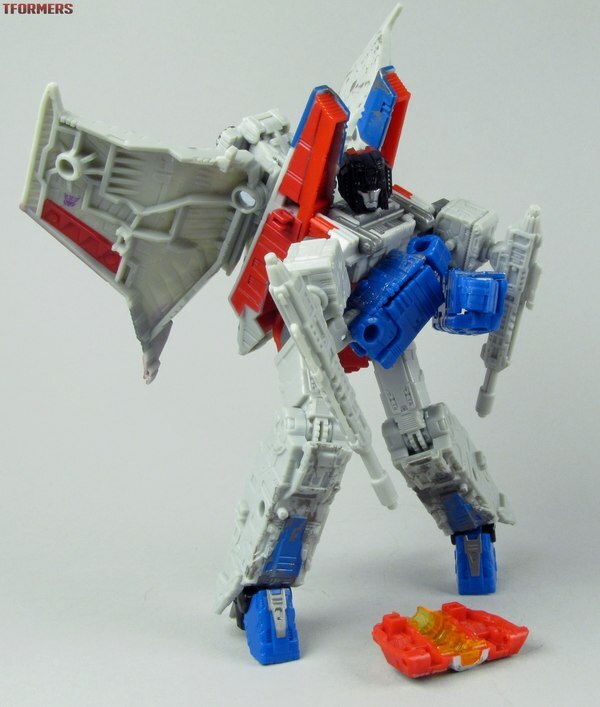 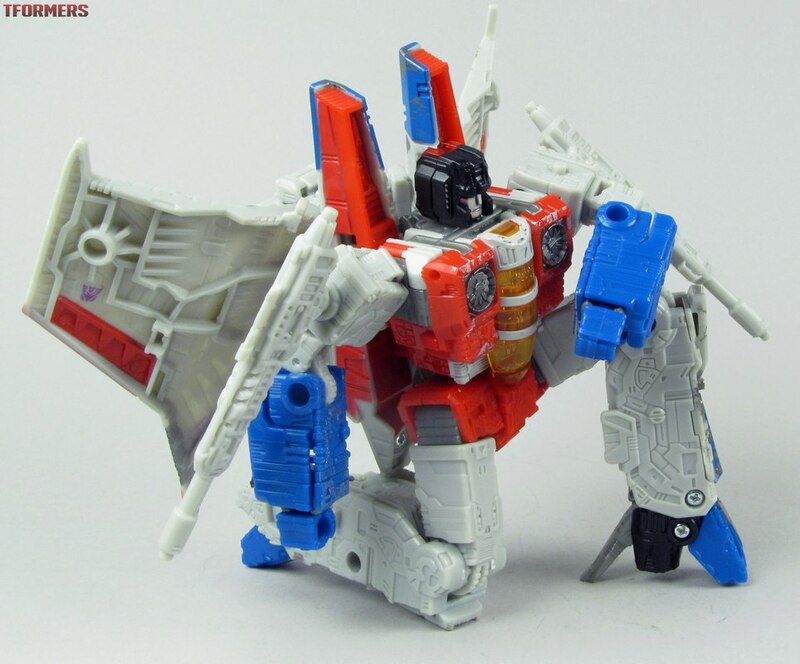 When you're not judging it against that though, it's pretty nifty-looking, and the remnants of Starscream's robot mode on the bottom are less obviously a robot folded up under a jet than you'd think at first glance. 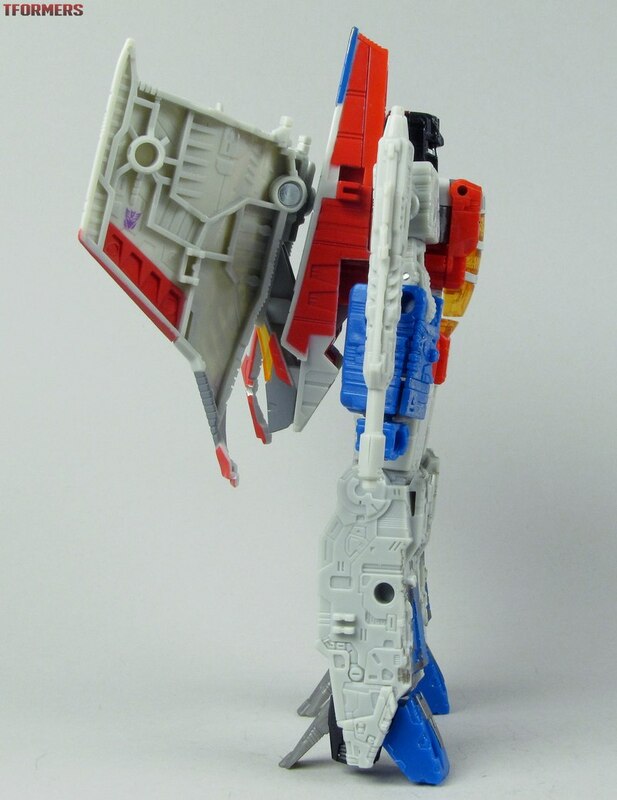 In robot mode, the styling works against it. 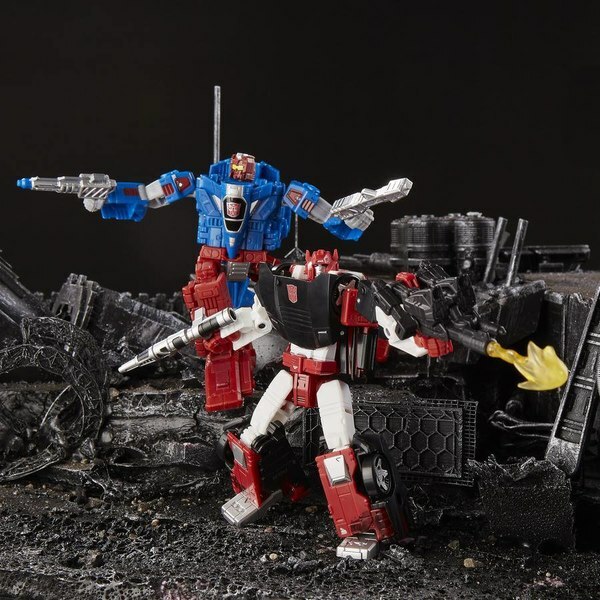 A lot of the Siege figures have been compared to the art of Japanese artists Studio OX, and OX were prone to adding a lot of surface detail to establish scale. On a figure this size that just looks really, really busy. 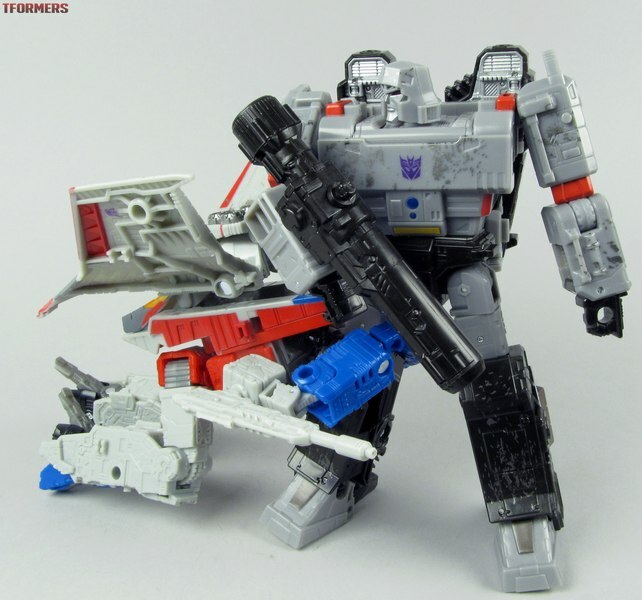 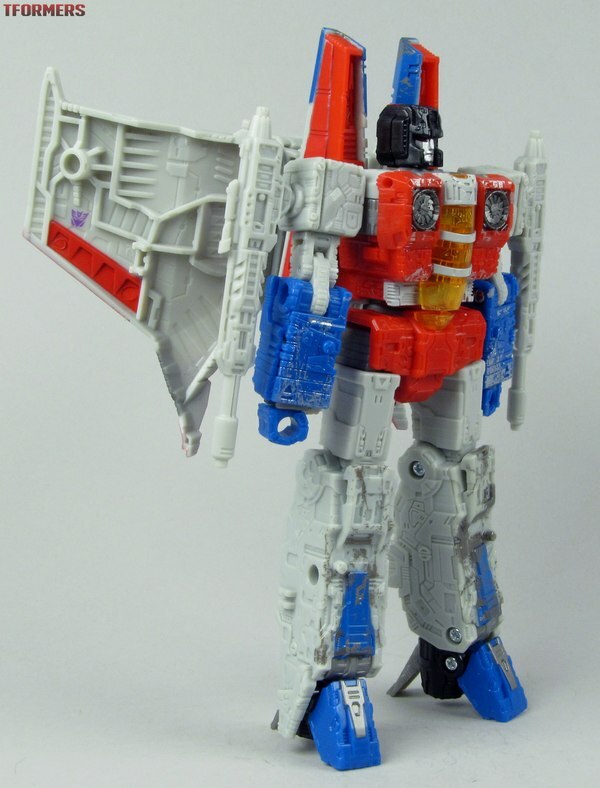 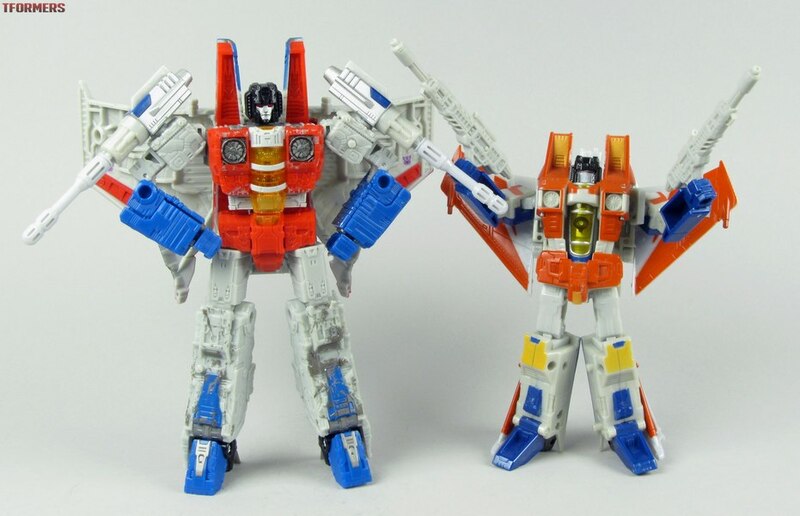 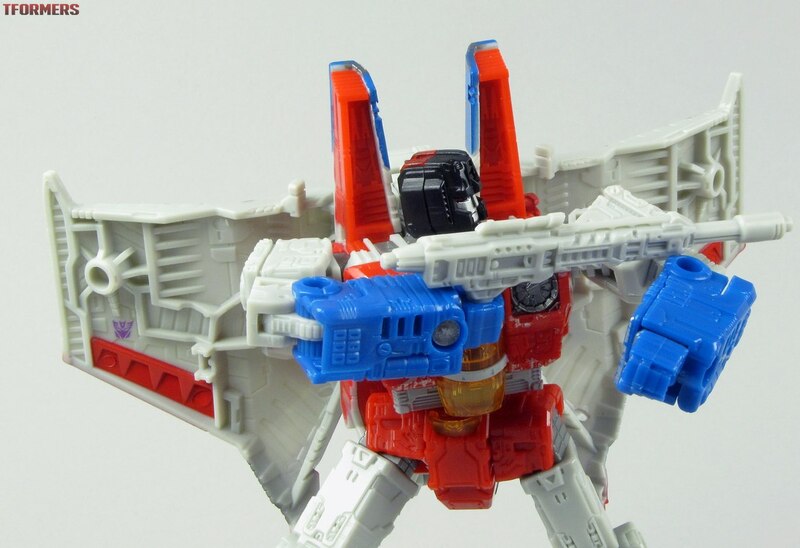 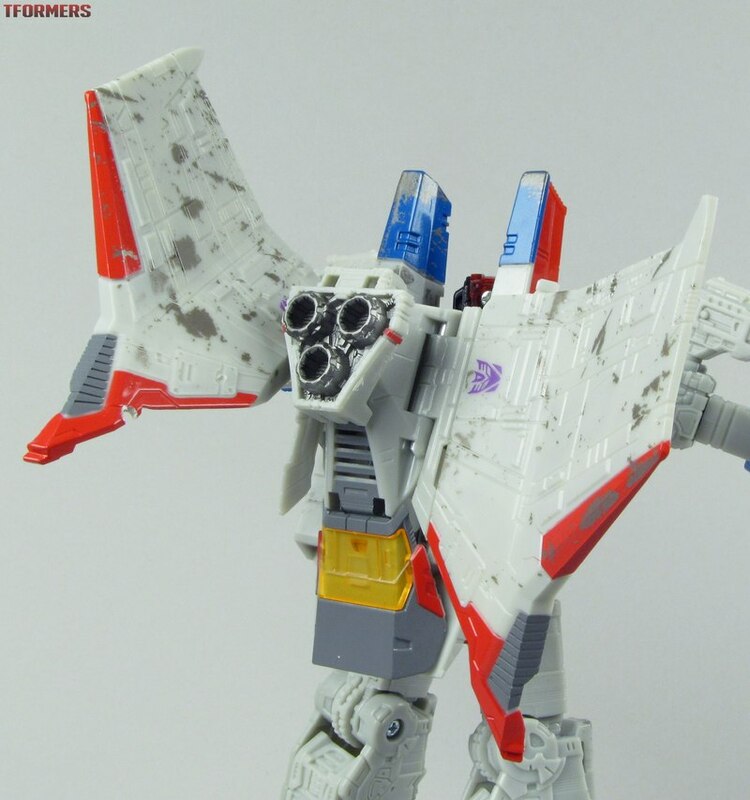 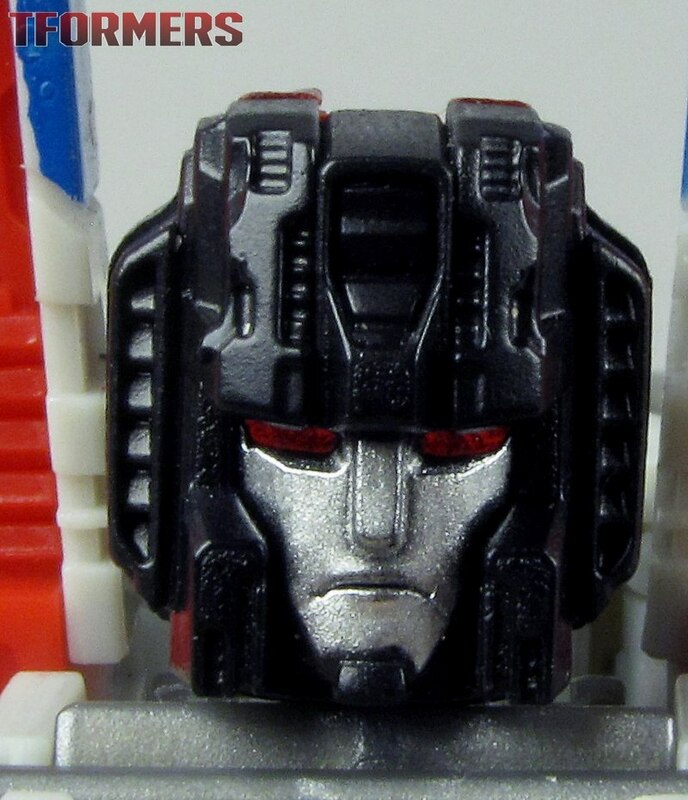 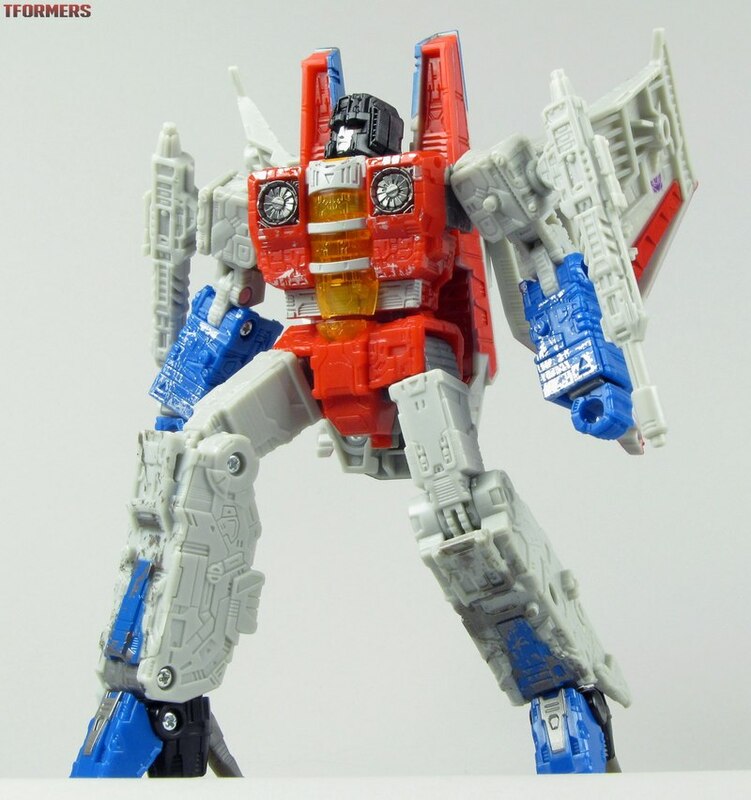 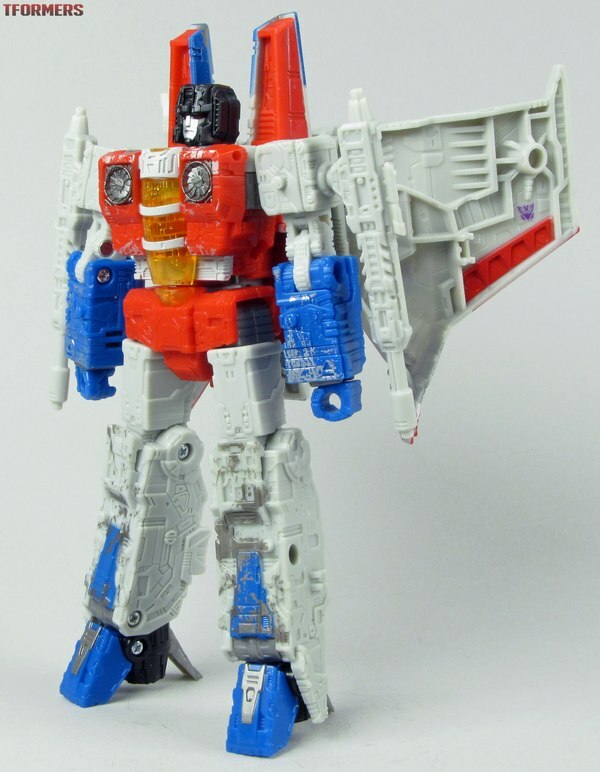 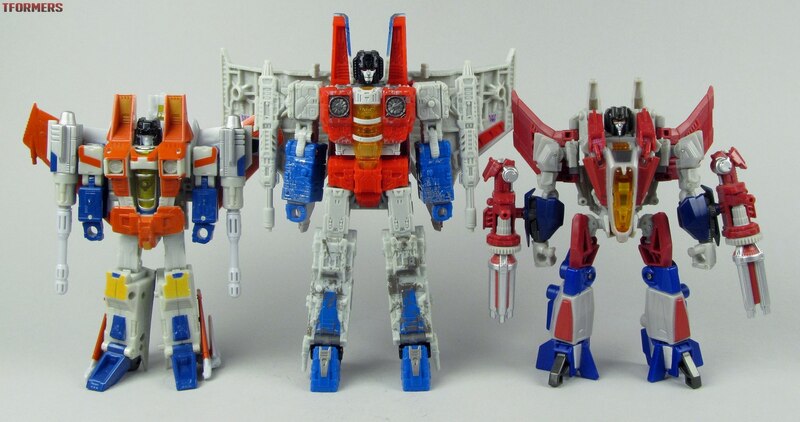 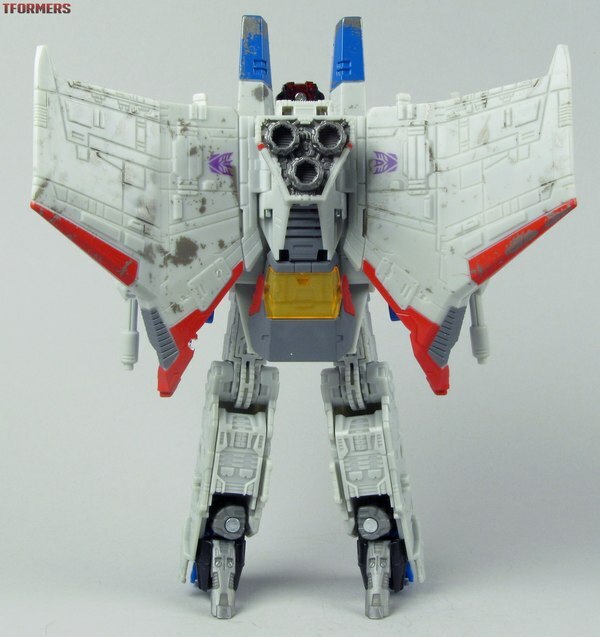 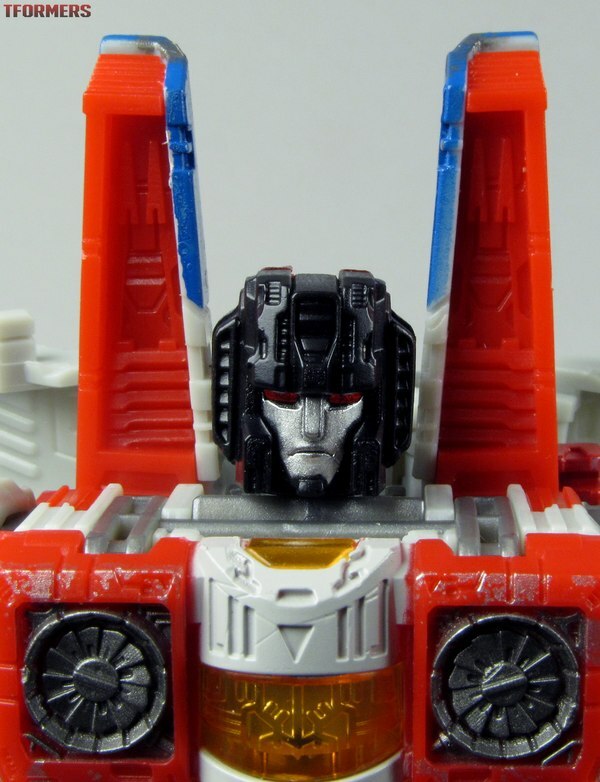 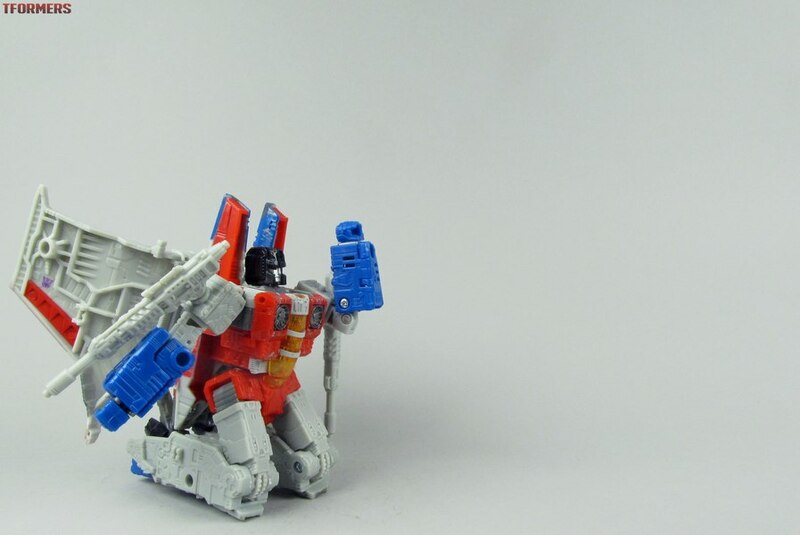 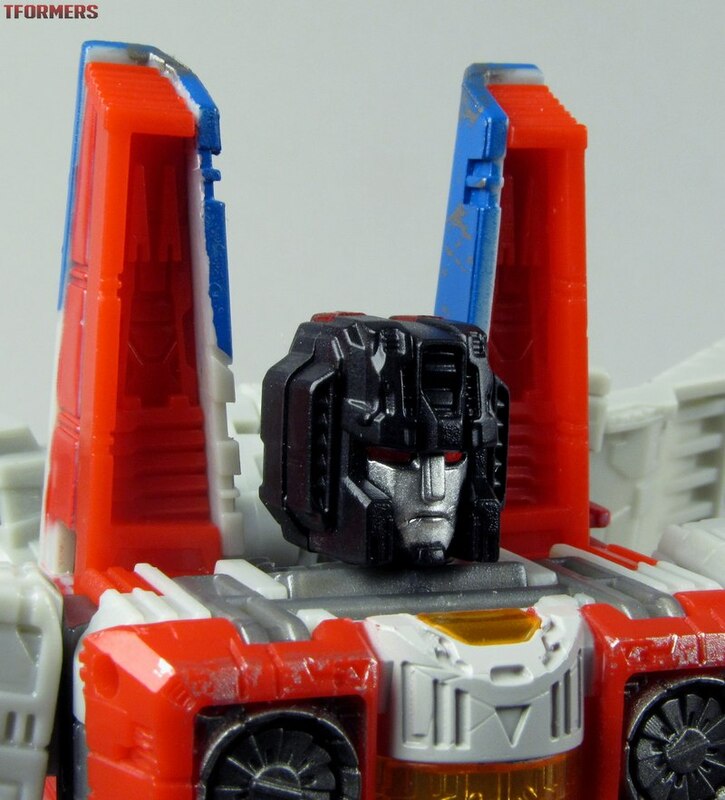 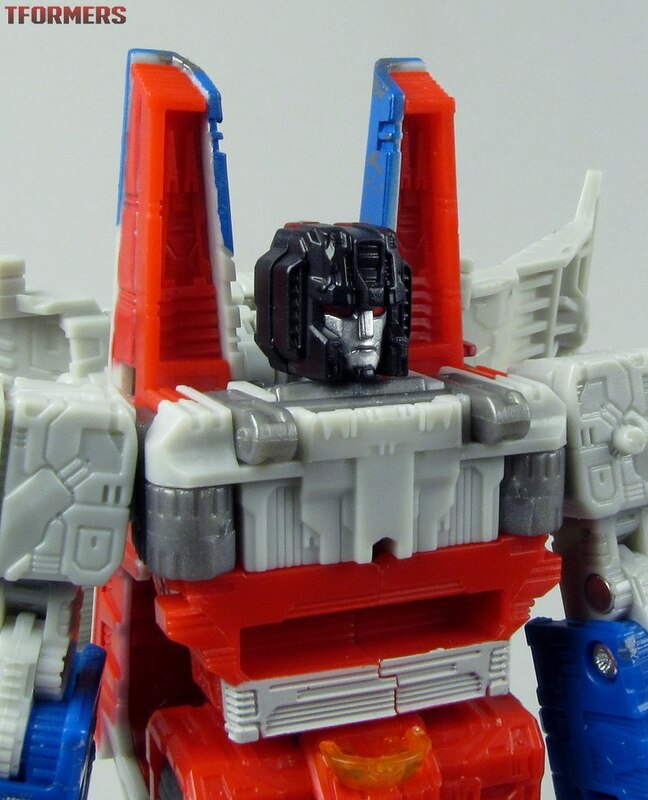 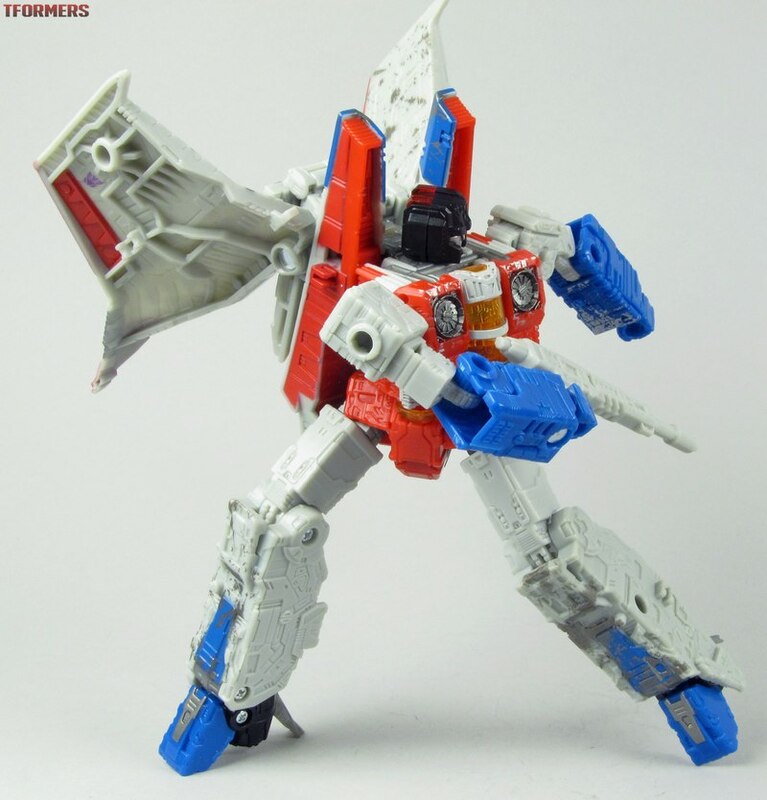 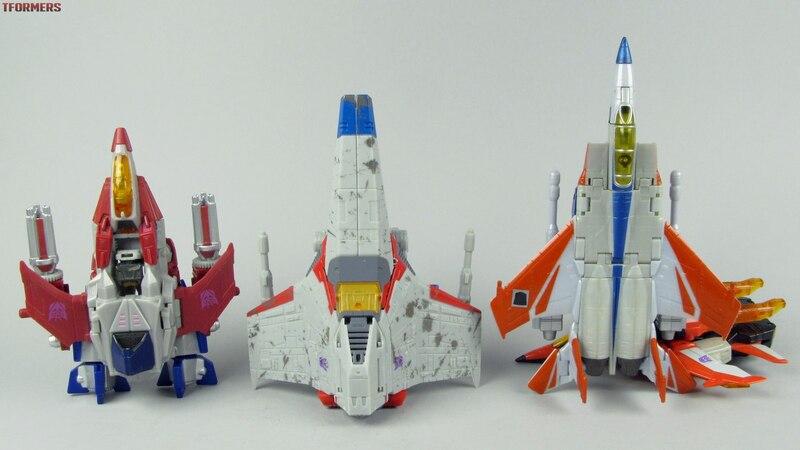 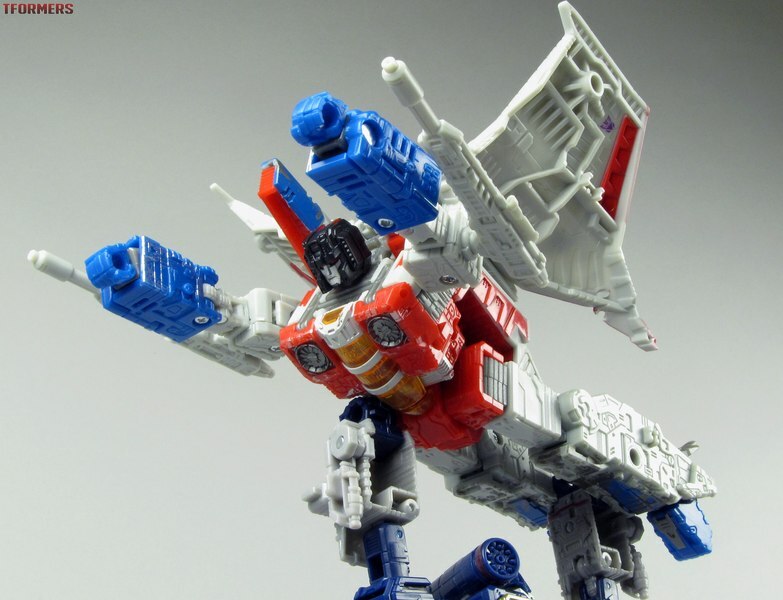 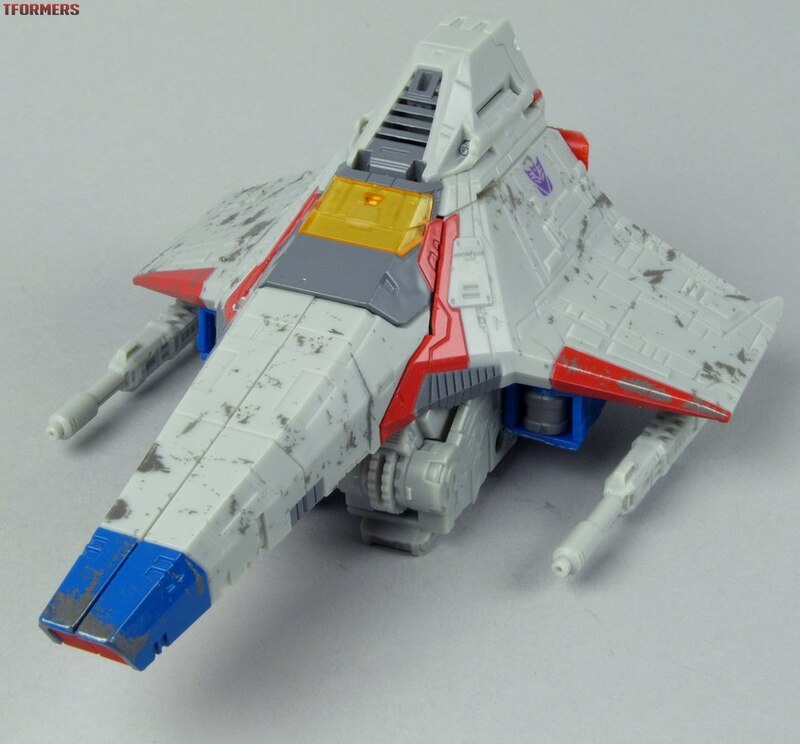 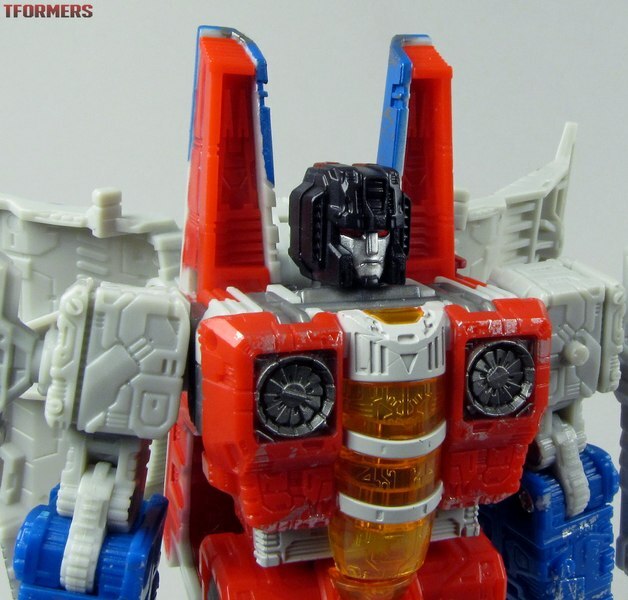 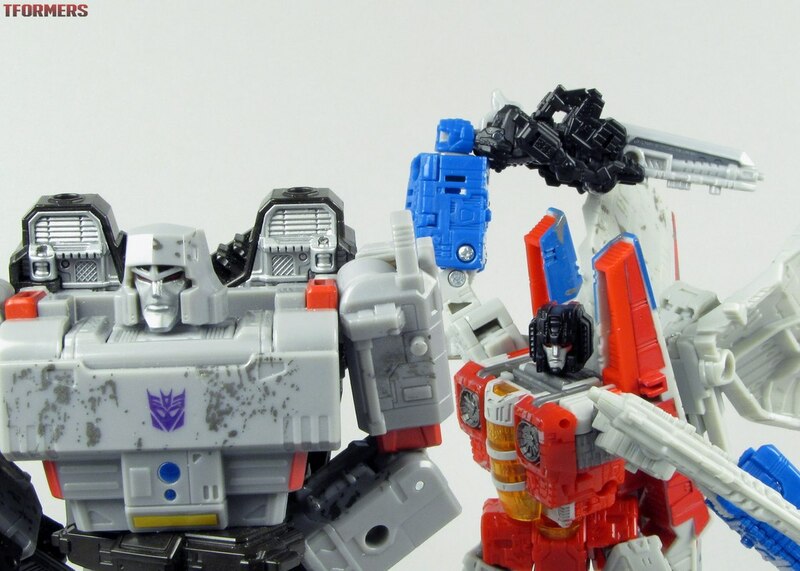 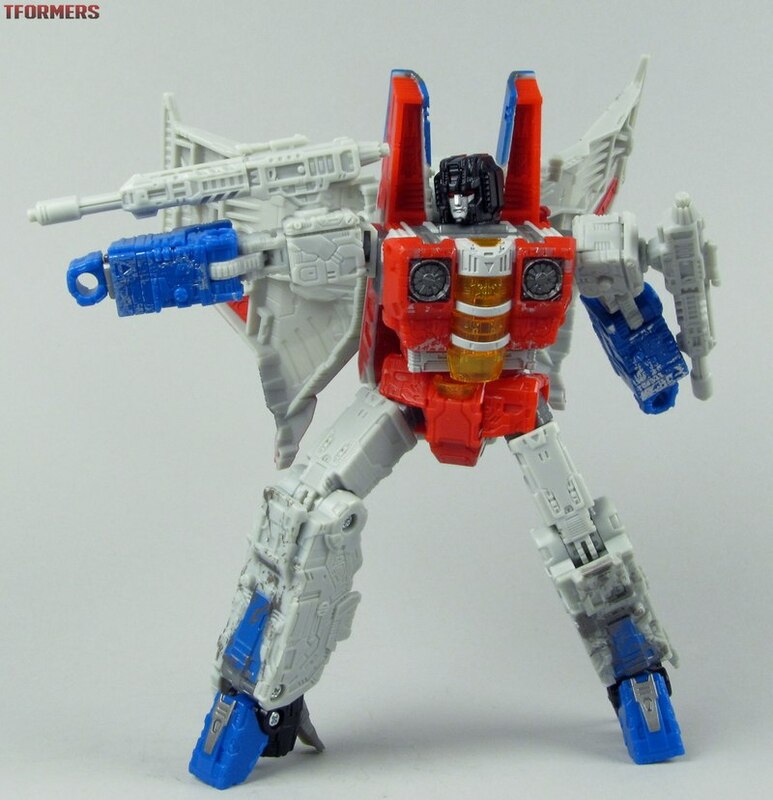 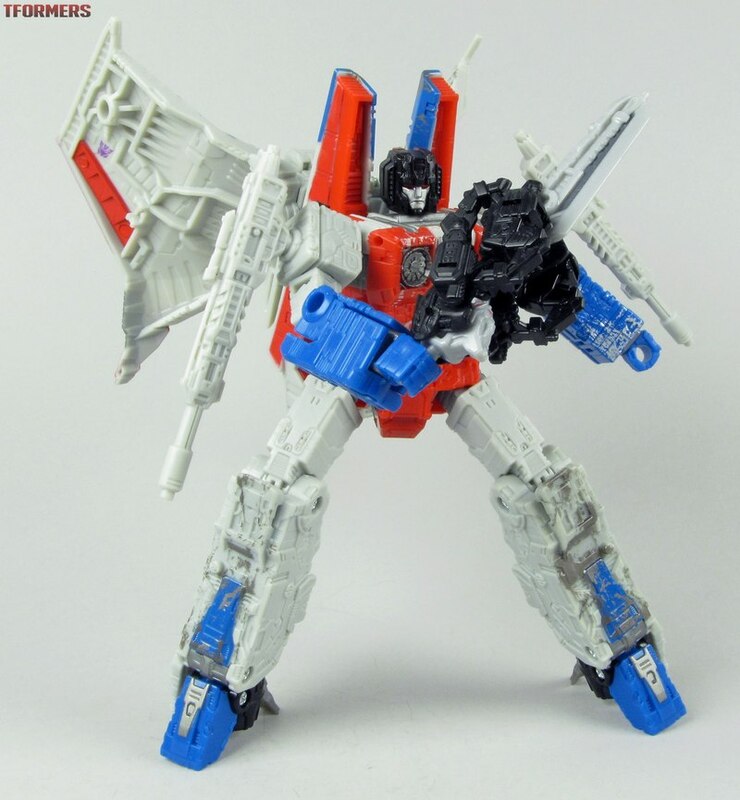 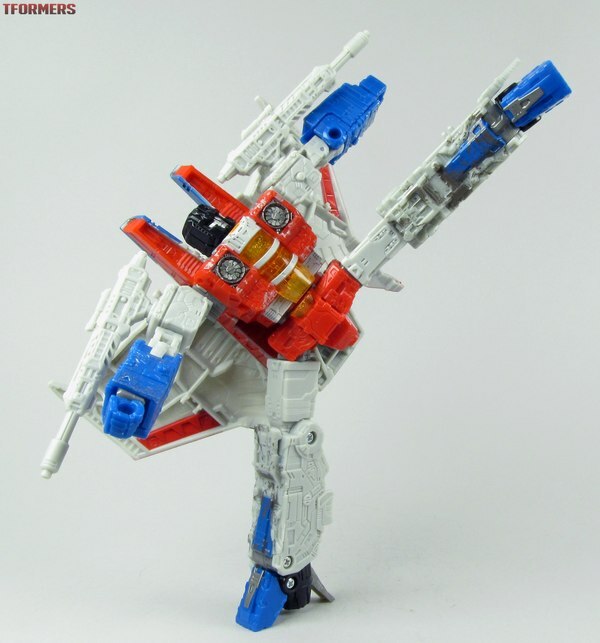 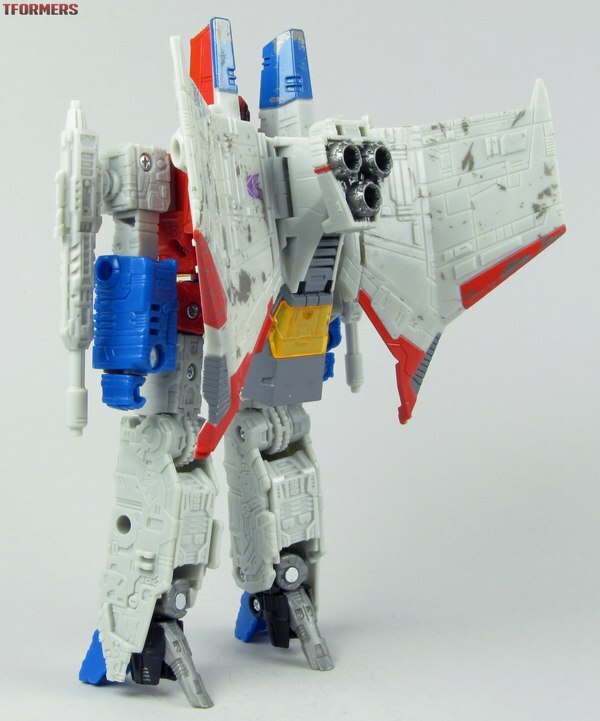 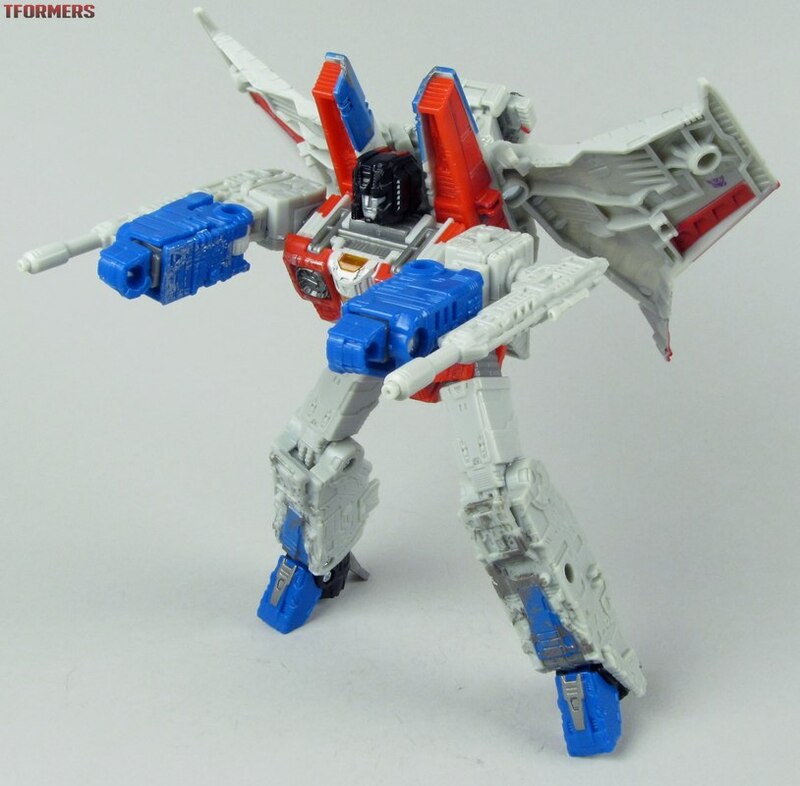 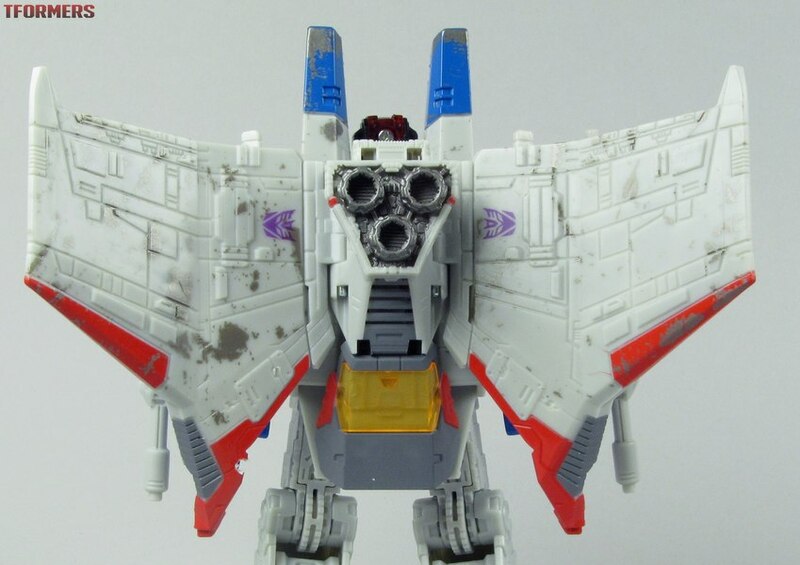 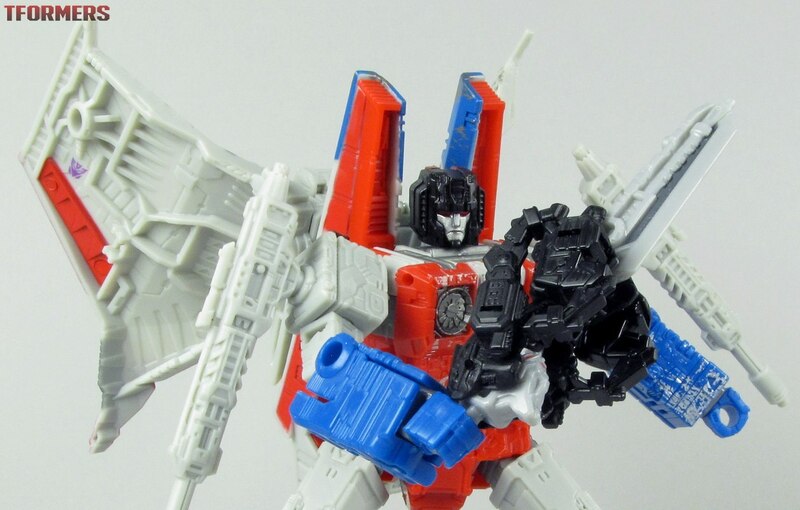 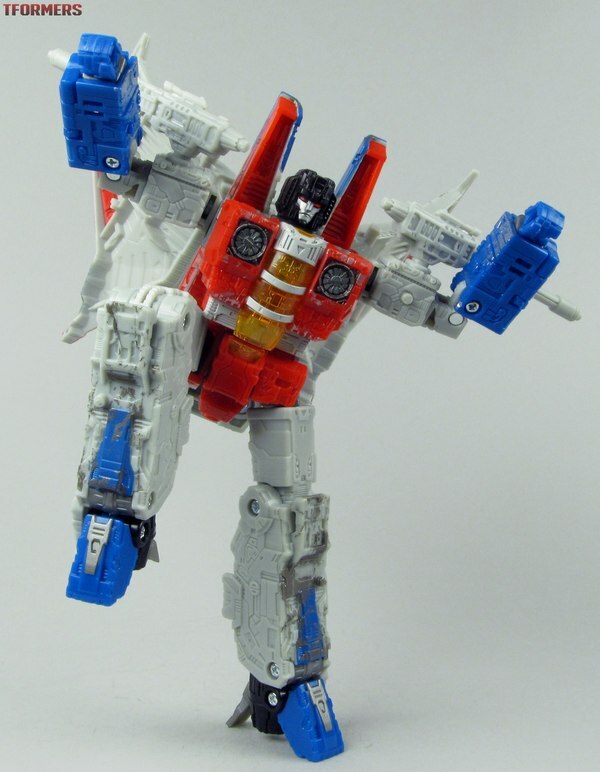 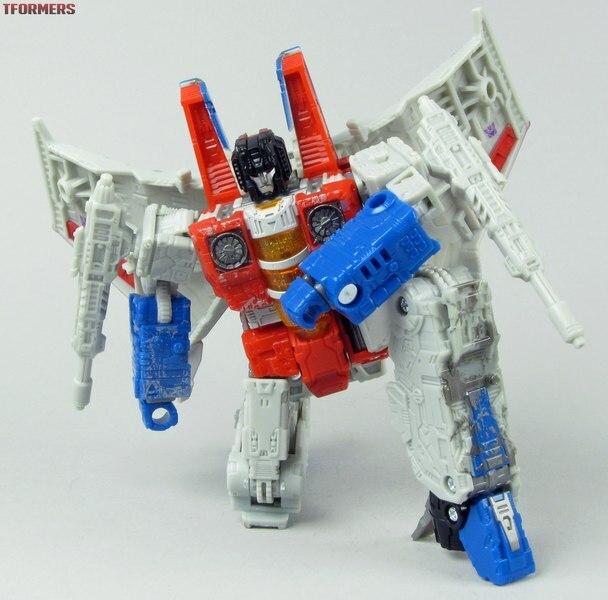 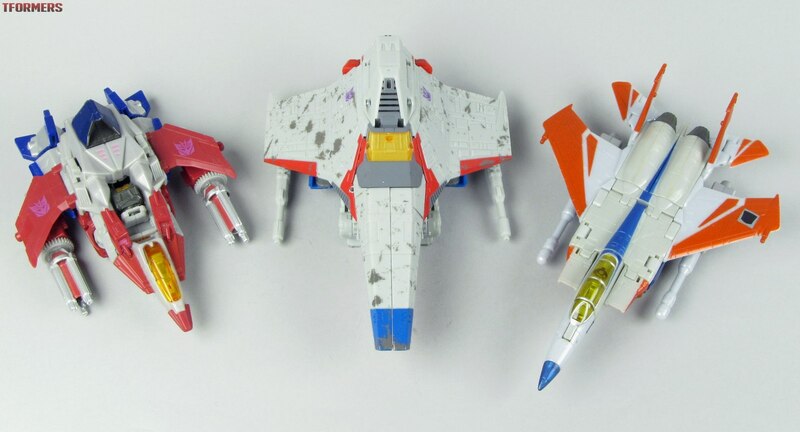 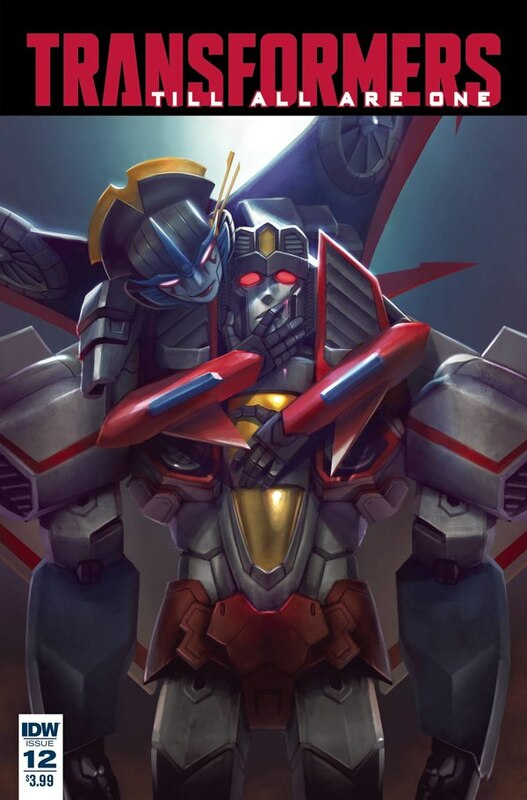 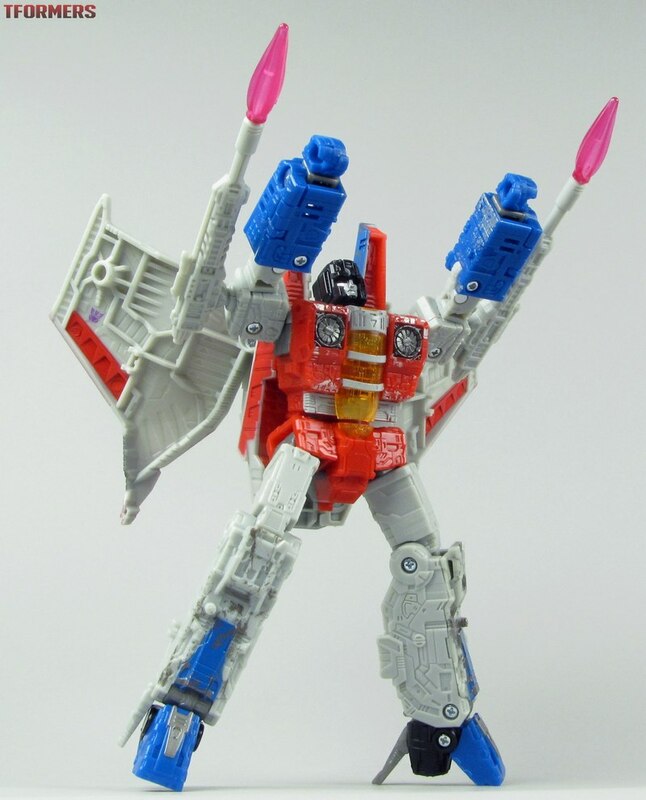 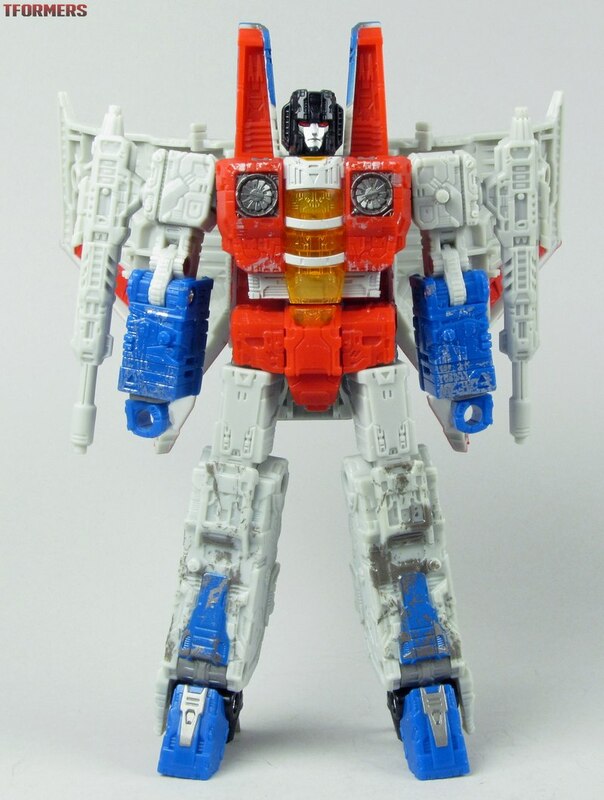 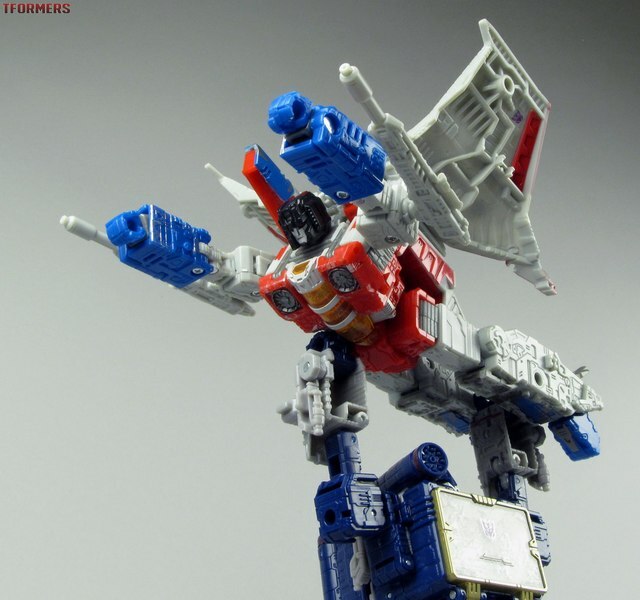 On top of which Starscream's design has been boxified to a point well beyond the `80s original. A lot of the original tapering and shaping has been removed or reduced, so he's square in a way I don't find it hip to be in the least. 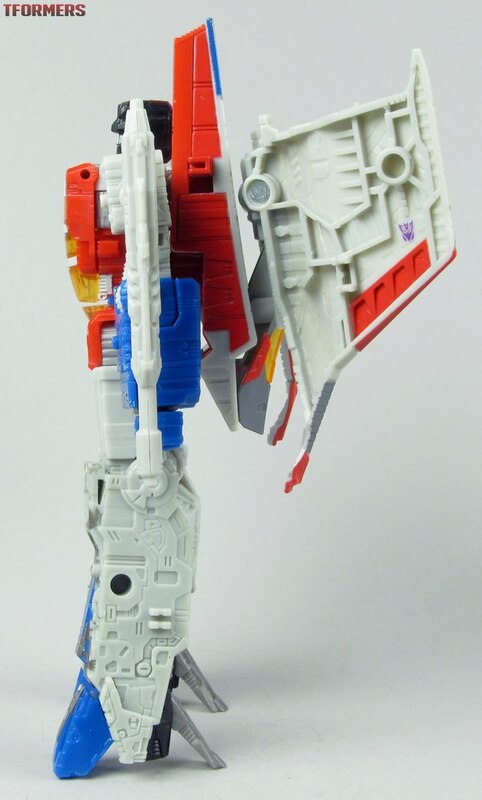 But what sells the robot mode is the articulation and tolerances. Starscream has a couple of touches that the other Voyagers haven't: namely forward ankle range and wrist swivels, and with the exception of the wrists every joint is incredibly tight and holds a pose brilliantly. 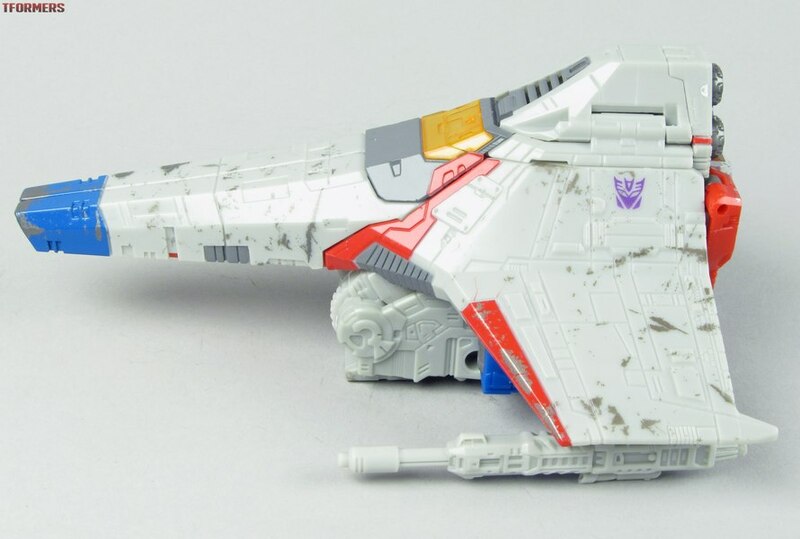 I'm not sure I've ever had a figure fall down less during posing than this Starscream.So while this may not be the best Starscream we've ever had visually, on an engineering level it's up there. If only that chestplate would stay on.